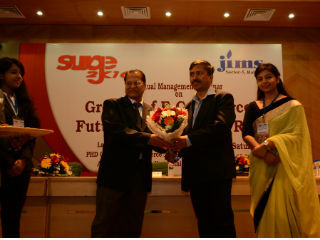 Jagan Institute of Management Studies, Rohini, Sector-5 organised an Annual Management Seminar –Surge2k16 for Undergraduate Management Students, on April 2nd 2016 at PHD Chamber of Commerce and Industry, New Delhi. With an efficient team of organisers, the event had a overwhelming response with over 300 students, 30 outsiders and a panel of knowledgeable speakers. 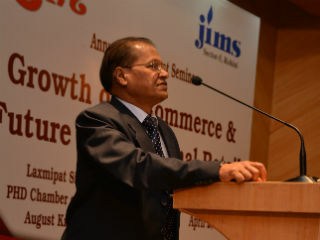 The event started with a welcome address delivered by Dr. J.K Goyal, Director, JIMS Rohini. At the end of welcome address, Dr. Goyal felicitated the honourable Chief Guest,Mr. 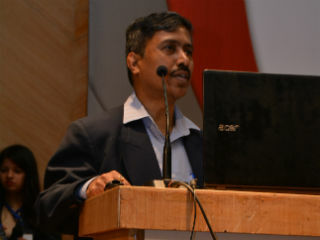 G.R Raghavender (Joint Secretary, Ministry of Commerce and Industry) . 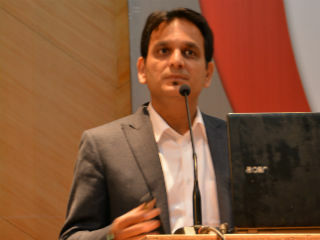 The Technical Session-2, was addressed by Mr. Harshdeep Rapal (CEO, Freelance Company). He addressed the issues of Traditional Retail being affected largely by E-commerce operations. Mr. Naresh Gupta (CSO, Bang in the Middle) was more positive about the existence of Traditional Retail but had some reservations about “E-commerce” as it is still in transitory phase. He asserted that the future may be replaced by M-commerce or any other new technology. It is all a part of technology playing the major role. 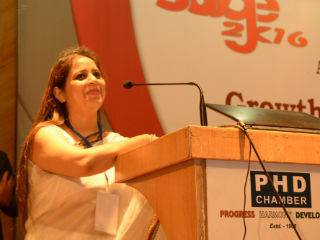 At the end of both the sessions, Dr. Parminder Bajaj, Convener, exhibited gratitude to the guest speakers, faculty, students and the organising team by delivering the Vote of Thanks. 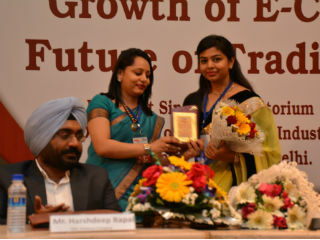 All in all, it was an interactive session replete with learning which did not only felicitate knowledge but also enlightened everyone with the world of Traditional and E-Retail markets.